When we analyze human migration we are analyzing how people move. To do this, we need to look at some of the reasons people move. This is where the theory of push and pull factors comes in handy. Push factors are reasons to leave a place and pull factors are reasons to go to a place. 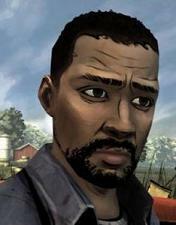 Interestingly enough, Lee Everett is a character in The Walking Dead’s Telltale Games mobile game. Both Lee Everett and Everett Lee also taught at University of Georgia. In this quote, we see that a pull factor for one person could be a pull factor for another person. This is an important idea to keep in mind. Just as push and pull factors may be different for different people, push and pull factors may change in a post apocalyptic setting. 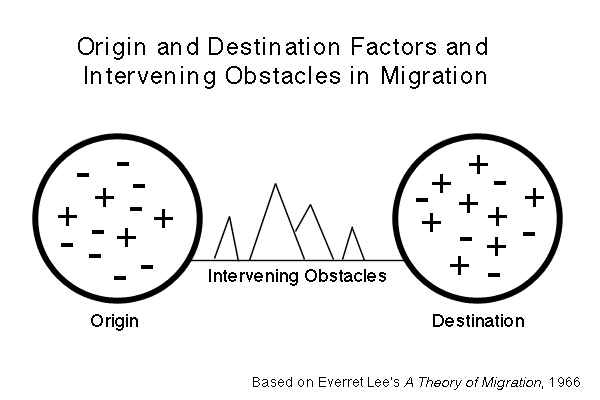 In Lee’s model, positive (pull) and negative (push) factors as well as intervening obstacles play a role in the choice to move. Notice the diagram of the push and pull factors in a post apocalyptic scenario. 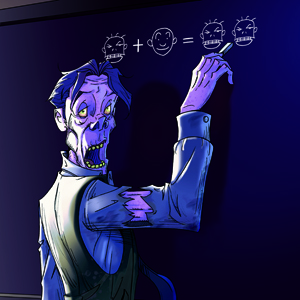 Zombies are probably a push factor for nearly everyone. Food and resources would be a pull factor. However, we must keep in mind the push and pull factors of zombies. It is probably safe to assume that zombies will be pulled to a location that has more humans (zombie food). By considering the movement of zombies and other humans, it would be possible to stay a few steps ahead of everyone else. Before migrating to a new location, consider possible migrations of other humans and zombies. Determine if you will be ready to deal with these other migrations. Human Migration and the Zombie Apocalypse! Project 06 is uploaded! “Like” this post for 3rd project upload this week! All of Project 06 has been uploaded to the Member Downloads directory. Here is the direct link if you are logged in. There you can either download the individual files or a single PDF of all of the project 6 documents. I’m really excited to be getting print versions of Dead Reckon this week. I’m also getting all of the T-Shirts. Kickstarter rewards will be shipped soon. I’m also really excited to finish posting the core projects so I can provide all of the digital add-ons. I’ll tell you more about those later! Nearly 130 years ago, cartographer and exercise-guru Ernst Ravenstein, introduced the world to his original laws of human migration. The original laws that he wrote have somewhat stood the test of time and provide some foundation for our modern theories of migration. Ravenstein and others continued to work on the laws and the following is a basic idea of the laws still around. every migration flow generates a return or counter-migration. Migration will play a large role in surviving the zombie apocalypse. It is not only important to know where people will move, but maybe more important to know where zombies move and why. It could be possible to disrupt zombie migration patterns to keep them away from new settlements. This is why I propose these rules. Just as Ravenstein’s have been amended, I suggest readers provide feedback on these laws. 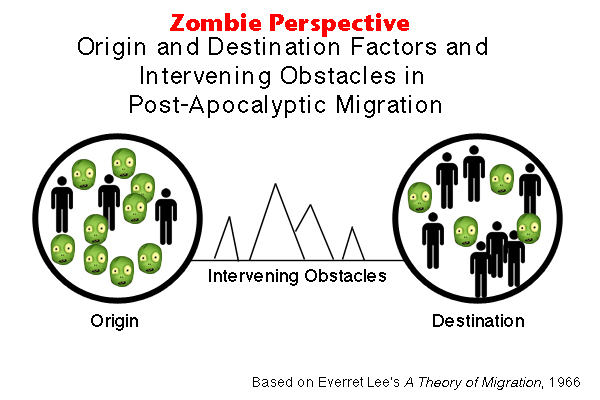 Law 1 – every zombie migration flow generates a return or counter-migration of survivors. For all large flows of zombies to a new area, there will be a counter-movement of survivors fleeing that area. The ratio of zombie migration to counter-movement of survivors may change over time. Law 2 – the majority of zombies move a short distance. While some zombies can go on an epic journey, most will prefer to move short distances whenever possible. Law 3 – zombies who move longer distances tend to choose big-city destinations. If a zombie does move a long distance, they will probably not stop moving until they come across a large city with opportunity to find survivors. 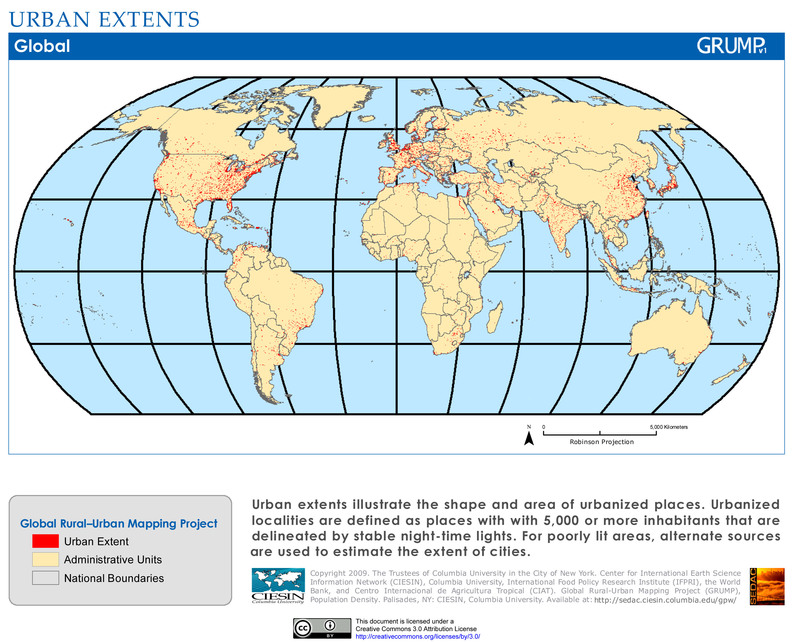 Law 4 – urban zombies are often less migratory than zombies of rural areas. Urban zombies will not move as far as rural zombies. Rural zombies require greater distance to find survivors given the lower population density. As the zombie apocalypse continues, the survivor population density becomes even lower, causing rural zombies to seek areas of higher population density (suburban and urban areas). Conversely, urban zombies are longer satisfied in the higher population density. Law 5 – large towns draw lots of zombies. Building from our previous laws, it is safe to predict that large towns will attract most zombies. Cities have higher populations of zombies who are willing to stay in that area and rural zombies are more likely to move to those cities. We see from these laws that cities are hot destinations for zombies. 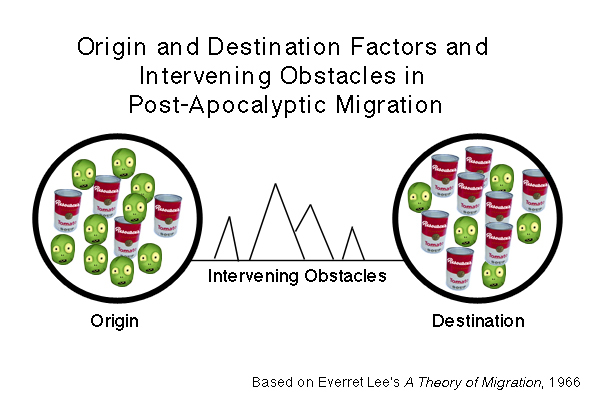 However, once a city is completely zombified we will probably have to examine zombie migration under more useful tool such as Lee’s push and pull factors. 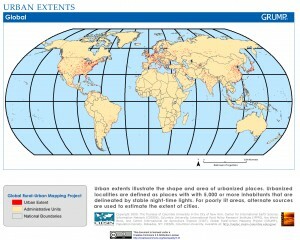 For example, Human over-population is a factor that will push people to move elsewhere. Similarly, an over-population of zombies and an under-population of living humans will lead to a zombie push factor, encouraging zombie migration to another area. What do you think? What makes zombies move?